The honeymoon period of the cRPG revival is over. Much like the pixel platformer or the point-and-click adventure game, the genre spent a few years celebrating its own resurrection with a handful of solid titles that were warmly received, in part, because it was so great to have the genre back. I’m not saying that games like Divinity: Original Sin, Torment: Tides of Numenera, or even the first Pillars of Eternity weren’t good or even great games, just that part of what made them great was how refreshing it felt to see the old concepts of the cRPG not only reintroduced but being iterated on. Pillars of Eternity might have been the culmination of this honeymoon phase. The game was the most faithful recreation of the Infinity Engine games like Baldur’s Gate or Icewind Dale - the interface, audio cues, and overworld structure lifted directly from the RPGs of old. There was no hiding the game’s roots and that’s what appealed to so many players. 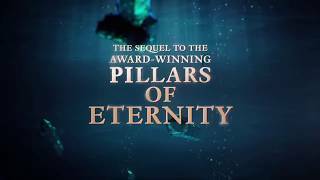 But it’s clear that Obsidian Entertainment, the developers of Pillar of Eternity and the new sequel Deadfire, knew that they would have to shake things up. Like many games made by Obsidian, Deadfire is interesting, fresh, and a bit of a mess. Moving the setting from the traditional Tolkien-esque Dyrwood to the Deadfire Archipelago has also changed the very aesthetic of the game. It still has all the trappings of the cRPG, but as opposed to the forests and castles of the first game, Deadfire is all about swashbuckling captains and forgotten jungle islands. I’m a bit torn. Part of me wants to give Obsidian credit for choosing a setting that doesn’t get a lot of love from RPGs (and yes, I do remember Risen 2: Dark Waters). The other part of me wonders why it took so long for someone to make a pirate RPG as it’s a proven fact that pirates make just about anything better. But enough yammering, is Pillars of Eternity II: Deadfire good? Yeah, it’s pretty good. The pirate stuff is a ton of fun and the mechanics are a solid evolution of what worked in the first Pillars of Eternity, but like so many prior Obsidian games, Deadfire is a bit of a buggy mess. The game continues the story of the player character from the first game, The Watcher of Caed Nua. In the first game players were bequeathed a castle, under which was an endless labyrinth of dungeons. As you ventured lower and lower, you began to realize that these dungeons were built around a giant green statue made of the magical emerald-like substance known as Adra. Pillars of Eternity II begins with that statue coming to life, destroying your castle, stealing part of your soul, and leaving you for dead. You’re rescued by a god named Berath who returns you to the mortal realm in order to track down the deity that has manifested in this statue, a dead god named Eothas. Tracking Eothas to the Deadfire Archipelago, you must navigate the web of alliances between the island natives and the various invading trading companies in an effort to secure enough power to challenge Eothas and get back your soul. Does that sound like a lot of names, places, and stuff to remember? Yeah, well, Obsidian doesn’t really care. The lore comes at you fast and heavy with lots of exposition dumps that aren’t all that creative. There’s also that faction system that Obsidian (particularly Game Director, Josh Sawyer) is so in love with, as you will be forced to run errands for the multiple bickering clans in the archipelago, eventually having to choose one to throw your full support behind. I don’t dislike this structure of the game, but it’s getting a little predictable. After completing the prologue quests you sail to the capital city of Nekataka where you walk into a throne room and get a crash course on the different factions and instantly understand how this is all going to play out. It might work better if these fractions were more interesting, but they’re pretty cookie-cutter in their ambitions. The native Huana feel that the outsider trading companies are pushing in tighter and tighter around them, threatening their way of life. The invaders believe that the Huana’s ancient ways are quaint, outdated and the future of the archipelago should be controlled by the outsiders who have already established a foothold in the region. Lastly, the pirates are trying to consolidate their forces and become a recognized faction in the Deadfire, simply wanting a seat at the table. The main narrative is a little more interesting. While the first game was largely about the cycle of reincarnation that passes the peoples of Eora from one body to the next, this game focuses on the gods who established this cycle and their imperfect reign over mortals. As before, the complex emotions and opinions on the gods is represented in your party. There are those who are so close to the gods they consider them to be parents, and others who hate them so much, they lash out at any perceived piety. What’s really impressive is how the game plays out these relationships between your party members. In some of the game’s better writing, your party members will bicker and fight when they first meet, as they fail to understand each other’s perspective, but eventually come to at least tolerate each other by the end. The way the companions interact with you is less impressive. The new romance dialogue options are perhaps the worst implementation of such a system I’ve seen. Basically, if you answer enough questions the right way, a character will come to you and ask if you want to be “more than friends”. If you accept, you’re forced into a monogamous relationship. At any time you can approach them again and say “let’s break up.” Then you can start the cycle anew with a different character. I exaggerate a bit, but it really all plays out with the drama of a high school cafeteria. Even worse is that there doesn’t appear to be any scripting to prevent these conversations happening at inappropriate times. My first romance conversation happened right when we were about to fight our way through a dangerous dungeon. The love scene occurred while on the docks of a nearly destroyed village, with the rest of the party standing next to us. Characters leaving your party is handled a little bit better, but not much. I spent roughly six in-game months on the seas with some characters and when it came time to ask them to act on your behalf and challenge their perspective, even with the fate of the world at stake, they largely shrug and leave. It’s a bummer because while the characters ostensibly go through change, talking about questioning their loyalties and ideals, this is never represented in the relationship mechanics. Maybe you can progress relationships to a point where they stay, but I couldn’t find any accounts of that happening. Half of a cRPG is interacting with the world around you, but the other half is exploring the world and getting into fights while doing so. The overworld is perhaps the best thing about Pillars of Eternity II. Sailing the seas, listening to your crew sing sea shanties is a lot of fun. In fact, a common mission type you’ll find are bounties as you’re asked to hunt pirates and monsters that are terrorizing the Deadfire. Usually, this means sailing the seas, finding the pirate you’re tracking, then engaging in ship-to-ship combat. This plays out in a turn-based system when you choose ship maneuvers and when to attack. It’s a little simplistic, but I couldn’t imagine a better way to handle this with the constraints of the cRPG. These fights usually end with you boarding the enemy's ship and engaging in hand-to-hand combat. The music thunders while you leap between ships, slashing and shooting your way through the rival crew, ending when they’re all dead and you’re picking through the loot. The ground combat again combines action with pause mechanics, meaning the fights play out in real-time, but you’ll have to intermittently hit the spacebar to pause the game and assign actions to your party. This kind of combat is really hard to do right, which is why so many cRPGs have opted to just use regular turn-based combat. Still, I think Pillars of Eternity has found a way to make it work. The interface is responsive, the actions and effects are clearly expressed through the AI. It also means the game doesn’t have to do such a harsh switch between exploration and combat. The encounters feel more thoroughly integrated into the world. Obsidian also makes great use of the classes. The real-time with pause allows a more nuanced take on turn-based combat as turn speed can move differently for each character, so instead of doubling or halving movement speed, you can increase the time between each character's actions incrementally. This means that Chanters, Druids, Wizards, and Priests have more variety in how quickly their magic works and how long it takes to queue up. There’s also an improved AI system so you don’t have to spend a lot of time worrying about the actions of each character - I usually would focus on my spell users, only micromanaging my melee characters in more difficult fights. The drawback is that there’s a little less tactical approach to the combat. This isn’t like Divinity: Original Sin where placement is key and you have to learn how to chain together attacks for effectiveness. It’s more about setting up a few moves and then watching them play out in real-time. You more nudge the battle in certain directions rather than command them in full. However, the lines between magic-users and fighting characters is a bit blurred this time around as you can now create multi-class characters, allowing you to make battlemages and cipher rogues. It gives you a lot more control over the makeup of your party, as your characters fill multiple roles instead of being pigeonholed as one specific type. This also lessens the pain of when characters leave your party, as others can take over more easily. You also can hire adventurers at most bars, which are characters you create for your party - though they don’t have any story to them. You can equip your characters for battle much like in the previous game. Enemies tend to drop a lot of loot and you’ll want to collect all of it so you can sell it good coin. That’s important - not necessarily because you’ll want to buy weapons, since the best weapons are found on the bodies of defeated enemies - but rather because you’ll need every penny to equip and manage your ship/crew. Much like how extra money was spent refurbishing your castle in the first game, this time your ship is the big ticket item. You’ll want to buy better sails and better wood for the hull, you’ll need to pay your crew and purchase food and drink for them. Food and drink are especially important because they can influence the mood of your crew, and you’ll want to keep morale up to avoid a mutiny. The high seas influence runs through the game like rum through the veins of a drunken sailor. The medieval architecture found in Deadfire’s predecessor has been traded in for something that is much closer to the Caribbean. Occasionally you’ll still see great stone castle-like structures, but a lot of civilization resembles locales from Assassin’s Creed: Black Flag. There’s a lot of cultural coding in Deadfire that is a bit different than the anglo-saxon analogues often found in Tolkienesque fantasy. Obsidian is exploring new parallels with the Huana resembling Pacific Islander native peoples, the Vailian Trading Company looking and sounding a lot like Spanish/Italian colonists, and the Principi pirates being a mix of European cultures. This sometimes makes Deadfire feel a little less like fantasy and more like alternative history, but there’s no denying it helps add a level of authenticity to the pirate world Obsidian has built. There are also a few smaller tweaks to Deadfire’s gameplay, mostly for the best. Instead of collecting campfires, you can now rest whenever, but it will cost you food. Again, the sailing mechanic means the overworld screen is quite different, with far less quick travel. Even when you’re on an island, you direct a marker around the map instead of fast traveling to a location. When you reach a village or settlement you can choose to go directly to a specific building you’ve been to before instead of just starting on the streets. You’ll also find more cities have multiple districts you can visit - in fact, the map in general is significantly bigger than the Dyrwood from the first game. There are also more special events that are communicated through the hand-drawn panels that you might remember. With more caverns to explore and walls to scale, you’ll find yourself making a lot of choices about who should try to scale the dangerous cliffside or investigate the strange temple. I just wish it was a little more fluid as loading in and out of these sequences takes too long. On that note, any gameplay complaints I could level at Deadfire are secondary to the large technical issues the game has. First, I experienced more than a dozen of crashes. There are a lot of autosaves and you can quicksave at any point outside of combat, which I did feverishly to avoid losing progress, but it’s still plenty annoying. It’s particularly stressful because of the aforementioned loading issues. In fact, after a sea battle, the loading is so long that the victory music is actually triggered twice - once as you load out of the battle screen, and again when you load into the overworld. Those loading issues are everywhere and constantly interrupt the pacing of the game. But those aren’t the only ones. I also encountered constant frame rate drops during combat, specifically when my characters would spawn phantoms or spirit animals to help in the fight. Obsidian has a history of releasing games that are a bit messy, but I found this to be particularly rough. The patches seem to be coming quickly, but considering there are still bad bugs in the first Pillars of Eternity and its DLC, it’s hard to imagine all of these issues will be fully resolved in the future. And those technical issues loom over what is otherwise a solid game. The characters are fun, even if their relationship dynamics don’t fully work, and the story is an interesting take on the infallibility of deities. 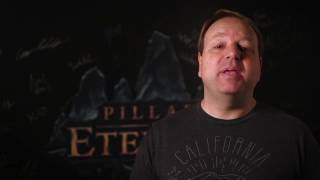 Most of all, Obsidian continues to prove that they are only rivaled by Bethesda in terms of RPG world-building. The cRPG may no longer be a new entity in the world of modern-day games, but now that the subgenre is back on its feet, it’s fun to watch the creative ways it’s being expanded upon. Deadfire adds a flavor of high seas swashbuckling that is bound to be a hit with anyone who’s watched too many episodes of One Piece, loved the Pirates of the Caribbean movies, or fondly remembered Sid Meier’s Pirates. 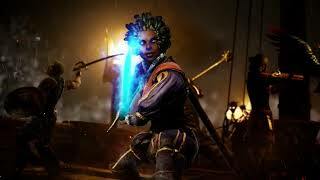 Be sure to checkout Deadfire, just be patient with its flaws. There’s a fun affection of high seas pirate life that runs through Deadfire. It’s a crime we haven’t seen more of this pirate-fantasy world explored by other games. The combat mechanics work, and I like that Obsidian is committed to using it in interesting ways. But the relationship and faction quests feel a little trite. The story is intriguing and continues to ask the high minded questions one would expect from an Obsidian RPG, but the faction tropes feel predictable. Bugs and crashes aplenty. While the patches are coming fast and often, it’s hard to imagine all of these issues are going to be fully resolved. Pillars of Eternity II: Deadfire is a fine game that makes it easy to get swept away in the pirate life and the thrills of ship combat. It’s a solid evolution on the first outing, though the technical flaws are significant and ultimately detract from the overall impression.